Alternatively, you can contact us for a free appointment by calling 01454 865502 or emailing smokefree@southglos.gov.uk Dr Mark Pietroni, South Gloucestershire Council’s Director of Public Health, said: “Last year’s Stoptober campaign was a huge success with over 250,000 people in England and Wales taking part. Over 65 per cent of people taking the challenge reached 28 days – making them five times more likely to quit for good so if you want help to stop smoking join us for Stoptober. “The benefits of quitting are well known, but smokers who have quit the habit know that while it can be hard to overcome the cravings, the pay-off is certainly worth it and after just 28 days smokers will start to feel the financial, physical and health benefits, including better sense of taste and smell and a reduced risk of lung cancer and heart disease.” This is the third year of Stoptober, which is run nationally by Public Health England. The 28-day target is based on research that indicates that if you can stop smoking for 28 days you are five times more likely to stay quit. This year’s Stoptober campaign is using comedy to engage smokers and help them through their 28-day smokefree challenge, and stay quit for good. 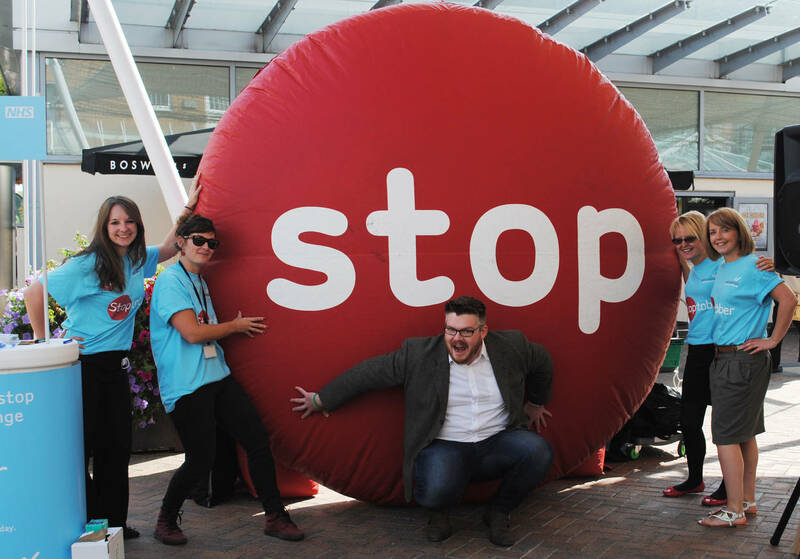 Mirroring the national theme of using comedy to help you get through the month-long challenge, we will be joined by comedian Chris Purchase who will be talking to shoppers and encouraging them to sign up to Stoptober. Last year, more than 1,300 people in South Gloucestershire took part, with 88 per cent who received Stoptober support making a quit attempt. If you want to quit this Stoptober, search ‘Stoptober’ online and sign up to the 28 day quit challenge. For advice and support along the way contact Smokefree South Gloucestershire on 01454 865502 or email smokefree@southglos.gov.uk. 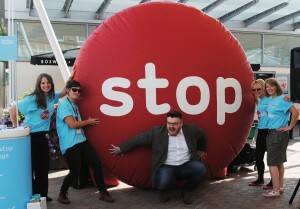 Visit www.southglos.gov.uk/stoptober.